... in our 1st Birthday show and production! To enhance our award winning magic and comedy we offer our beautiful curtained backdrop among other such touches.. Along with our stand up show Bruce and Jennifer also perform small magic and fun stuff from table to table at your Luau either before or after the show and sometimes both! It also gives us a chance to meet everyone in the room which we very much love to do! On top of all that we're sure you'll find our very reasonable prices.... well... magical! Job #1 for the Meyers' Luau entertainment is for everyone attending to have a great time and a lot of fun. 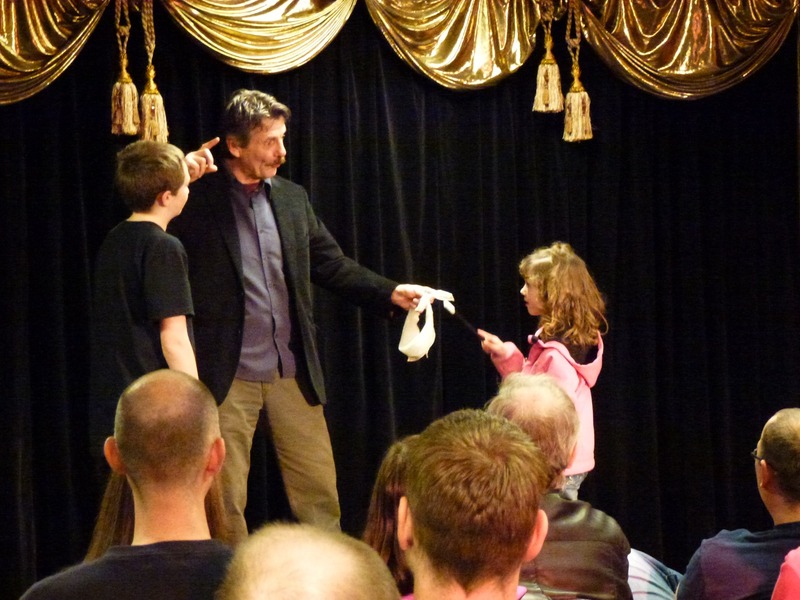 Our family shows are designed to thoroughly entertain everyone of all ages from 3 to 103. We want everyone to have plenty of laughs and to walk away scratching their heads from the magic. Imagine their reaction when half way through the show this live Silky Chicken appears from thin air. Just one of countless impossible and funny surprises in our 1st Birthday show. Let us show you why each one of our Luau Birthday clients have told us that there is nothing like our offering on the island.